With the passing of Ed Knight, there has been a lot of reflection about the rising power of the peer movement in New York. Listed below is a Times article from 1995 highlighting the growing movement and the impact it had in the success of the original reinvestment campaign. Thanks to NYAPRS and Harvey for sharing. For decades, the mentally ill in the United States were shut away in psychiatric institutions and effectively barred from demanding better treatment, while parents — often blamed by doctors for children’s conditions — were shamed into silence. They have formed sophisticated organizations, successfully lobbying for better public services and for more money for scientific research. They played a major role in expanding the National Institute of Mental Health’s research budget to $596 million from $206 million over the last 10 years. A sign of the movement’s muscle is that even in these times of drastic budget cuts, there seems to be no turning back from community-based care, a trend that both families and former patients are constantly pushing to extend. An increasingly loud voice among the advocates comes from the mentally ill themselves. James F. Brennan, chairman of the Assembly’s mental health subcommittee and a Democrat of Brooklyn, credited the lobbying of advocates like Dr. Edward L. Knight, who founded the Mental Health Empowerment Project, and Harvey Rosenthal, executive director of the New York Association of Psychiatric Rehabilitation Services, with restoring some of the money that Gov. George E. Pataki planned to cut this year. Dr. Knight, who has a Ph.D. in sociology, suffers from paranoid schizophrenia; Mr. Rosenthal was once hospitalized for severe depression. Because community programs are small and scattered, the gains often go unnoticed. But the examples are everywhere in the New York region. This fall, a community residence for 38 people is to open on East Burnside Avenue in the Bronx. On Oct. 30, a new “clubhouse” — where people who are mentally ill can seek job training and educational opportunities — will open in New Rochelle, N.Y., run by individuals with mental illness. And in Syracuse, a half-dozen apartments will soon be available, giving tenants the support they need to live independently. People with psychiatric disorders — some prefer the term consumers — have started their own support groups and social drop-in centers and have themselves taken top positions in state and local mental-health agencies. And Michael B. Laudor, a 32-year-old lawyer who managed to graduate from Yale Law School after developing schizophrenia, was just named a consultant on ethics in psychiatric research at the New York State Psychiatric Institute, the state’s premier research center. The movement is facing its toughest challenge since gaining momentum a decade ago. 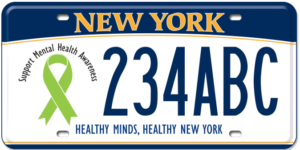 This year’s $1.74 billion mental health budget for New York State was down $122 million from the year before, the largest annual cut in memory. As part of that cut, the New York Legislature reduced the pledge to community mental health services under its hard-won “reinvestment” bill to $26 million this year, from $44 million. That landmark legislation, passed in 1993, took the savings from the shrinking of state hospitals and earmarked it for community programs. Governor Pataki had proposed an even larger cut, to $20 million, but after vigorous pressure from mental health advocates, $6 million was restored. When Representative Chuck Douglas, a New Hampshire Republican, held up on the floor of the House a mock newspaper headline reading, “Berserkers: Time Bomb in the Workplace,” his vision of what might happen if the mentally ill gained new job rights, the alliance’s New Hampshire chapter counterattacked, holding press conferences and waging a letter-writing campaign. Since the late 1980’s, the number of self-help groups for the mentally ill in New York State has jumped from a dozen to some 400, according to Dr. Knight, the founder of the Mental Health Empowerment Project. The project, a nonprofit organization in Albany, helped establish most of the groups. The push for rights and services can be traced to the mid-70’s when states were accelerating their efforts to move people out of institutions. The exodus resulted from the introduction of new drugs, the protests of civil liberties groups and a desire by states to save money. Perhaps the most visible sign of the mental health movement’s emergence is the willingness of prominent individuals to speak out about their own illness or that of a family member. Senator Domenici and his wife, Nancy, have a daughter who is mentally ill. The Senator has fought to increase Federal money for psychiatric research and spoke this summer at the convention of the National Alliance for the Mentally Ill. Mrs. Domenici served on the alliance’s board from 1990 to 1993. Patty Duke, the actress, who has manic depression, has written two books about her experiences, has testified before Congress and makes public service announcements. Tipper Gore, the wife of Vice President Al Gore, speaks publicly about her mother’s depression and presided at a conference last month on mental health and managed care. Art Buchwald, the humorist, has written about his depression and has spoken at fund-raising events for the national alliance.